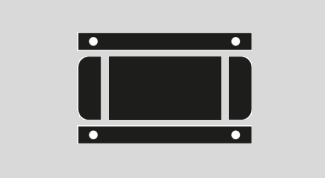 it possible to transform 6.3 MVA and 3.15 MVA depending on whether a 20- or a 10ft container is used. 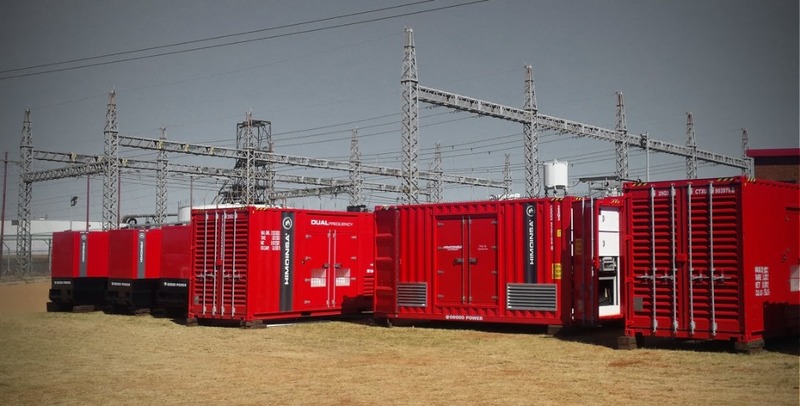 The transformer substations make it possible to increase the voltage from low to medium, or vice versa, depending on the needs of the client in each project. 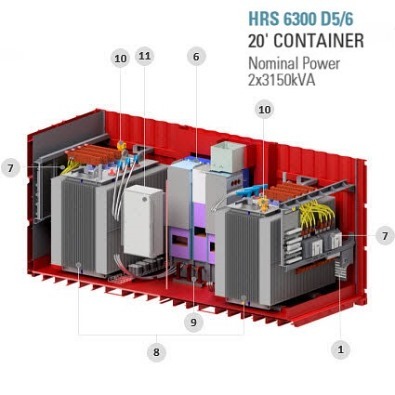 Each 20ft container is fitted with two 3,150 kVA transformers which make it the best solution for adjusting the necessary voltage in reduced spaces. 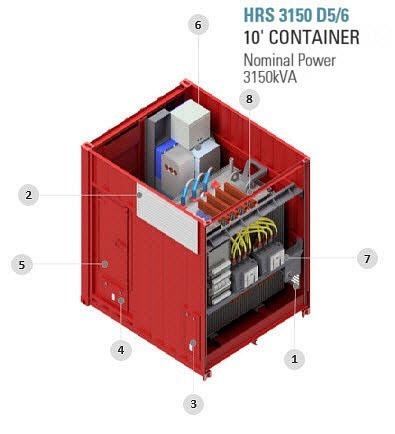 The 10ft container provides the same functionality as far as transformation and manageability as its 20ft counterpart is concerned, but it is also able to connect two generator sets working in parallel. Control and aux panel: Ventilation, lighting, measurements in digital display, alarms, batteries and battery-charger.